For your healthy, the complementary aromatherapy of essential oils can enhance your lives and help prevent illness. By awakening the senses of smell and touch, we can relieve tension, improve sleep, enhance mood and alleviate many physical ailments. There are many ways of use essential oils as following: Body Massage, Compresses, Inhalations and Facial Steam, Air Fresheners, Vaporizers and Aromatic Bath. Compresses: Use warm compresses to ease backache or abdominal pains; cold compresses for treating headaches, swollen joints, bruises and sprains. Add up to 6 drops of essential oil to a large bowl of water. Stir, then place a face-cloth on the water's surface to collect a film of oil. Wring out and apply to the affected area for 5-15 minutes, re-soaking the cloth as needed to maintain its temperature. Steam Inhalations: Inhalations are invaluable for easing respiratory problems, catarrh, sore throats and coughs, and are an effective way to open the pores to deep clean the skin. Do not use inhalations if you suffer from asthma or broken capillaries. Fill a large bowl with boiling water or using your sink in the bathroom, add 2-3 drops of essential. Lean over the bowl and, for effectiveness, cover your head with a towel to trap the steam for 5-10 minutes - take deep breaths for feeling essential oils and shut your eyes as the molecule of essential oil in the vapour can sting. For skin problems, do not use more than once a week; for respiratory problems, use up to tree times a day. The suitable essential oils for steam inhalations are Lavender, Geranium, Roman Chamomile and Peppermint. Air Fresheners: To deter insects from a room, rid the air of cooking smells and generally freshen up your room, add 2 drops of your favorite essential oils to 100ml of cooled, boiled water in a plant sprayer. Shake well, and spray the room. Lavender and Roman Chamomile are favorite for bedroom and Geranium, Lemongrass and Peppermint are suitable for insect-repellent. 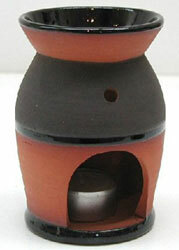 In Vaporizers: A range of essential oil burners, made from clay, are available from health or aromatherapy related shops. Usually, a small candle is lit below a bowl containing 2-4 drops of essential oil added to the water. The candle's heat warms the bowl, and the essential oils evaporate, scenting the room. Do not let the water evaporate completely that the bowl may crack and cause fire. Keep away from children's hands. Aromatic Bath: Essences can be added to the bath simply for pleasure, to aid restful sleep, to help skin problems, relieve muscular and other pains, or to subtly influence mood. Sprinkle four to eight drops of essential oil on to the water's surface after the bath has been drawn. Agitate the water to disperse the oil. If you add the essences whilst the water is running, much of the aromatic vapour will have evaporated before you get into the bath. If you have dry skin, you may with to mix the essences with a few teaspoonfuls of a vegetable base oil, such as sweet almond or jojoba, but only if you don't mind cleaning an oily bath afterwards. Neat essences never leave a greasy tide mark due to their tiny molecular structure. If you have irritate skin, do not use more than 2 drops in a bath. Pure Essential Oil are highly volatile and evaporate easily. As heat, air and light affect the oils, it should be kept in dark glass bottle in normal to cool temperatures. Do NOT store the essential oil in any plastic bottle as the oil can melt the plastic and contaminated with the petrochemical substances. Although some wood oils such as Sandalwood, Rosewood can improve with age, most oils slowly deteriorate and should be used within a couple of years after distillation. They can be stored in the bottom of the refrigerator to prolong their life. Some of pure essential oils such as Rose Otto has freezing point at the refrigerator temperature and will turns solidify, but don't worry, it will liquefy at room temperature without losing the therapeutical properties. 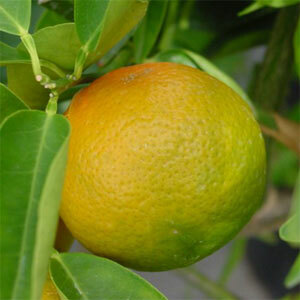 The citrus oils should be used within a year due to the short shelf-life. Some of oils are flammable, so keep them away from naked flames. Do not store on polished surface, as the oils can leave marks. Once the essential oils have been diluted in a carrier oil, the shelf life of the diluted oil reduced to a few months. Essential oil should always be diluted before using to the skin. It is possible to irritate the skin by using too strong a concentration of oil. The appropriate percentage of diluted essential oil is 3-5% for body, 1-2% for facial care & sensitive area and below 1% for using with childrens or those who have sensitive skins. To avoid possible irritation or allergic reaction, user should test for the allergy by place a drop of diluted essential oil (~2.5%) on the inside of your wrist. Cover with a sticking plaster and examine after 12 hours. If there is any redness or itching, do not use that oil. If you have an adverse reaction to an oil, apply sweet almond or coconut carrier oil to the area, then wash with cold water. Avoid using Pure Essential Oil during pregnancy, especially first 1-3 months. Need More information about Using Pure Essential Oil?